It’s true. I’m a sucker for great cover art. I’ll pass over a book without reading the blurb if the cover doesn’t lure me to pick up the novel. 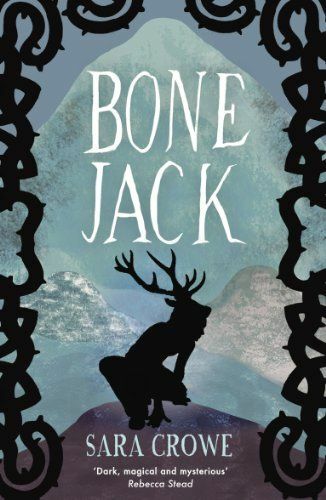 With a blackened figure of a young boy wearing antlers on his head , BONE JACK by Sara Crowe made me want to know in what type of world a boy would have them on his head. Then I read there were ghosts in this story about a stag boy and I love ghosts! Ash’s dad has returned from war. But he’s far from the hero Ash was expecting. He’s close to a breakdown, lost in a world of imaginary threats. Meanwhile, Ash’s best friend Mark is grieving and has drifted away into his own nightmares. Ash’s only escape is his lonely mountain running, training to be the stag boy in the annual Stag Chase. But dark things are stirring. Ghostly hound boys prowl the high paths, and in the shadows a wild man watches. Ash begins to wonder if the sinister stories about the Stag Chase are true. Could Mark and Dad be haunted by more than just their pasts? The first paragraph promised danger in the pages to come and I devoured the entire book. Therefore, I reached out to the author for a little Q and A.
Q1: What inspired you to write about Bone Jack? Is the Stag Race an actual event? Bone Jack is a mix of several mythic archetypes – a Wild Man, a shapeshifter, a shaman who moves between different realities, a force of nature. He’s my invention but he shares characteristics with various figures in British folklore and mythology – Merlin, Taliesin, the Green Man, Lailoken, and many others. I’ve been fascinated by those old tales since I was a child and on some deep level they’re part of how I understand the world around me, with all its ancientness, wildness and mystery. The Stag Chase is fictitious but there are similar real events held in parts of Britain – cross-country paper chases known as ‘hare and hounds’ or ‘fox and hounds’ races. I drew on that tradition but also, perhaps more importantly, on the legend of the Wild Hunt – a spectral hunt where hounds and riders chase across the night sky. There are lots of versions of this legend in Britain and other northern European countries. Q2: I loved how you created tension between Ash and his grieving, best friend Mark. Was it difficult to create a “good guy-bad guy” image within the same character? I don’t really see Mark as a bad guy. He’s a boy who’s suffered unbearable losses and whose world has stopped making sense to him. He’s trying to do the best he can in his circumstances, only his idea of what’s best has gone seriously awry. In many ways, he’s the character in Bone Jack that I most identify with, though his situation is much more extreme than anything I’ve experienced. Q3: How did you decide what Ash’s personality would be like and that running would be an escape for him? The whole of Bone Jack grew from a single scene that kept replaying like a film in my head: a lone boy running in the summer heat, far out in the mountains, and seeing something strange and frightening. He arrived in my imagination with his personality already in place – tough but vulnerable, a bit of a dreamer, a bit sulky, like many teenagers, a boy who is well meaning but flawed. Everything else evolved from that. Who is he? Why is he alone? Is he running towards something or away from something or just for the sake of it? What does he see out there in the wilds? What dark forces are at work? Q4: Ash’s dad came home with Post-traumatic Stress Disorder, which is some serious stuff. Did you know someone personally that inspired that side of his family life, or did you have to do a lot of research? No, I don’t know anyone suffering from PTSD. In any case, I didn’t want to base my character’s experiences on any one real individual because that seemed intrusive and exploitative, so I read a lot of books and accounts of first-hand experiences, watched documentaries, listened to radio programs where soldiers with PTSD have talked about their experiences. Q5: Weaving hard life realities with the story of the ghostly hound boys from long ago Stag Chases was genius. Was there anything particular that inspired the characterizations of the ghosts? I wanted the ghost hound boys to be more like land memories than like the spirits of individuals. The idea was to strip them back to the raw essence of their role in the Stag Chase, which is simply to relentlessly pursue and, if possible, kill their prey. They’re primal, without conscience or pity. The ghostly stag boy is different though, because his role in the hunt is different – he’s the hunted, not the hunter. Q6: Finally, because I have many aspiring authors following me, did you have any hurdles to get over before finding your fabulous agent? And please, let us know, were you in the trenches long? It depends what you mean by in the trenches! I’ve been writing ever since I was old enough to string a sentence together, compulsively filling notebook after notebook with a big mess of random imaginings. I took creative writing classes years ago but I didn’t know what I wanted to write so it didn’t get me far. Eventually I realized that I wanted to write for young adults – something that had never occurred to me before, even though many of the books I love most are those I read as a child. Once I’d worked that out, I wrote a practice novel, which was overwritten and awful but at least I managed to finish it. Then I wrote half a not very good YA novel with ‘the market’ in mind. It wasn’t working for me so I deleted it, stopped worrying about the market and instead wrote a book that I really wanted to write, a book I wanted to read. The result was Bone Jack. My agent Joanna and I were already friends and she loved Bone Jack so that part was straightforward. We had a few rejections of an earlier, untidier version so I knuckled down, did some serious thinking and then some serious rewriting, and Andersen Press picked it up. Thank you for inviting me on to your blog, Pamela, and for asking such interesting questions! You’re welcome Sara! And Thank you for taking the time to answer my questions! 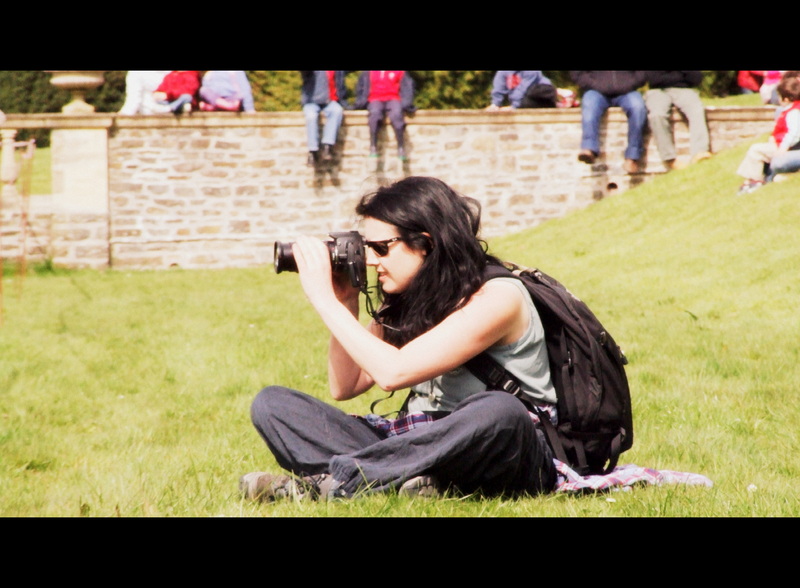 If you would like to know more about Sara Crowe, you can visit her blog, or stalk follow her on twitter. And to purchase BONE JACK, go here (UK) or here (US). The book’s rating on amazon is currently five stars. Congratulations Sara!